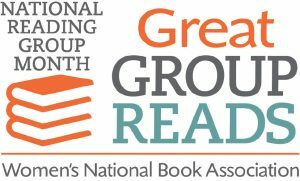 National Reading Group Month is an initiative of the Women’s National Book Association (WNBA). Every October, WNBA organizes events nationwide, and announces an annual list of book selections for reading groups: Great Group Reads. To read more about Great Group Reads and see the other lists, click here. A Hard and Heavy Thing by Matthew J. National Reading Group Month is an initiative of the Women’s National Book Association (WNBA). This annual month-long celebration provides an opportunity for reading groups worldwide to reflect on their accomplishments, and to plan for the future. It’s also a perfect time to join or start a reading group! Every October, WNBA organizes events nationwide, and announces an annual list of book selections for reading groups: Great Group Reads. And here are the Great Group Reads 2017 selections! Nowhere Is a Place by Bernice L.